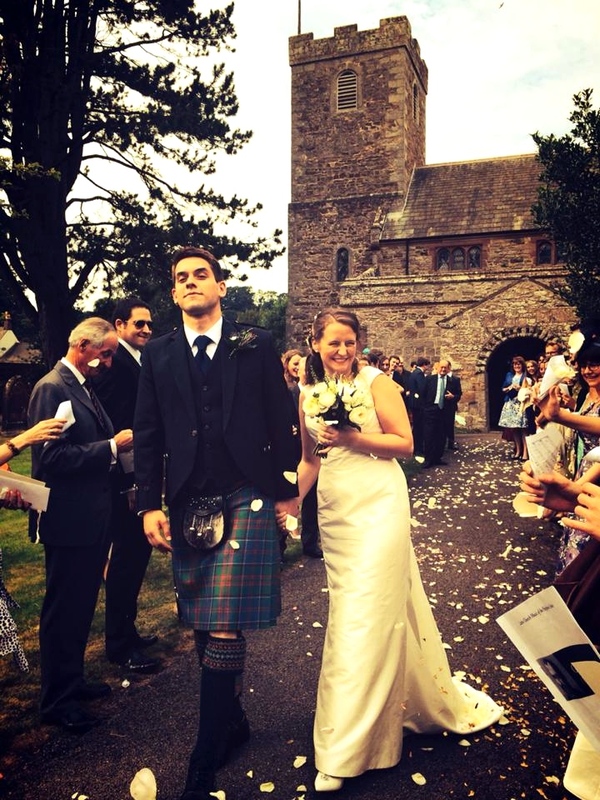 For those of you who didn’t see, a few weeks back our Twitter account notified people that I was away at my older brother’s (Matthew) and his wife’s (Orielle) wedding in the Lake District. As a way of commemorating this great day and rounding off this season of “What A Gent’s Wearing” I wanted to do a post celebrating the day itself as well as reviewing the outfits the gentlemen were wearing. 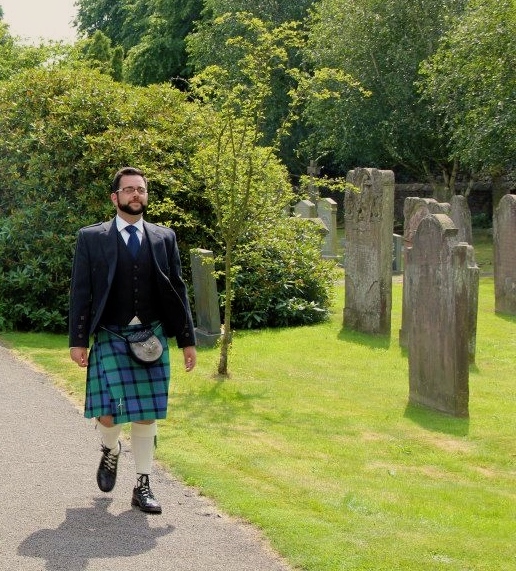 The groom and best men (Jason & Edmund) were all in traditionally Scottish kilt wedding attire, complete with wool waistcoats, jackets and Sgian-dubh (a single-edged knife which slid into their right sock). 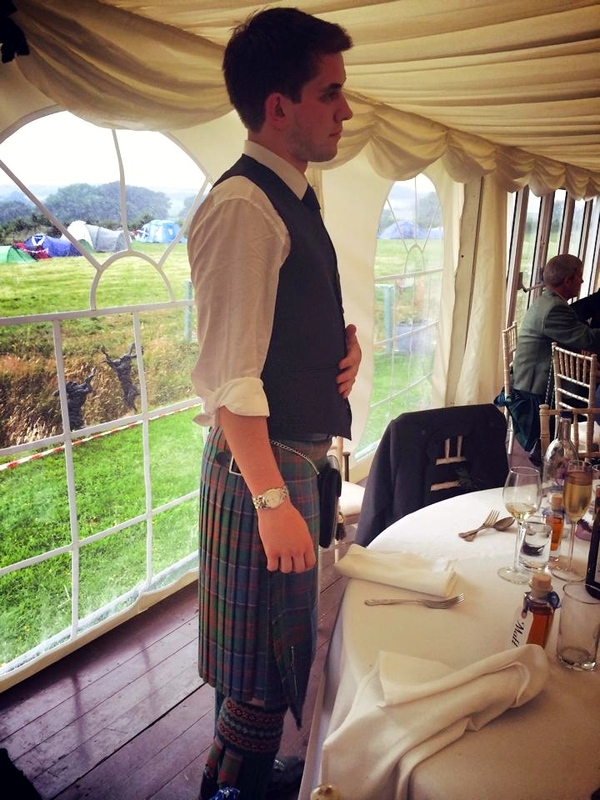 The overall effect was a broadening of the shoulders and upper torso but slimming the waistline, whilst the kilt itself made both the thighs and calfs of the groom and best men look more defined and toned. The calf-length socks and black shoes added a clean-cut feel to the outfit, whilst the traditional flashes in the sock added a splash of colour. 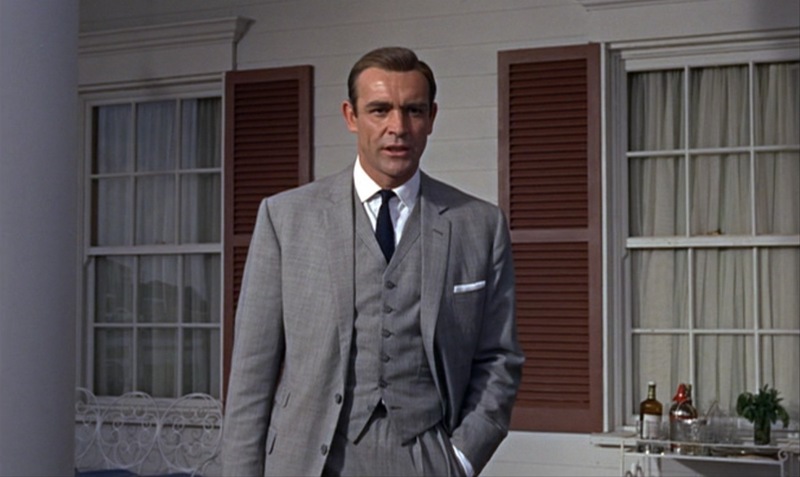 Finally, the navy tie provided a subtle contrast between the white shirt and the black wool jacket giving the overall attire a sharp, masculine style. 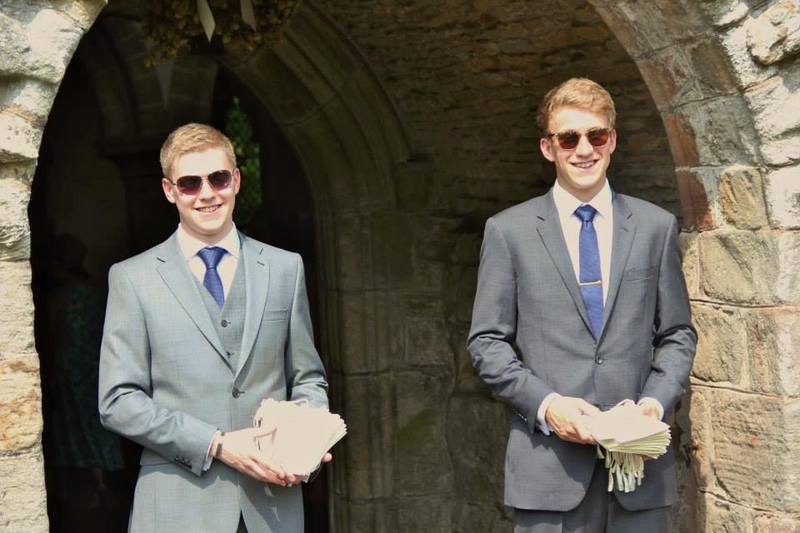 The groomsmen, my two younger brothers (Simon & Neil) and I, were dressed in either two-piece or three-piece grey suits. 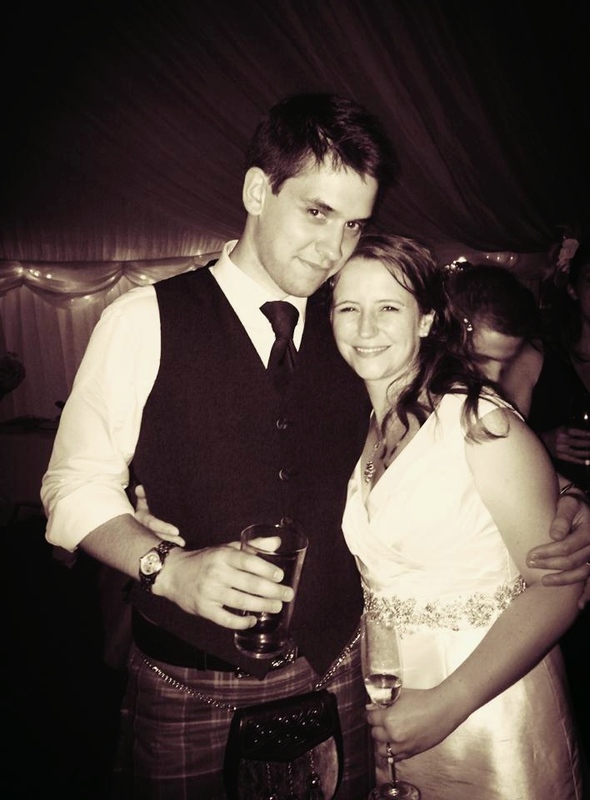 To add a small theme to our outfits we sported navy neckties that were similar to the one being worn by the groom. 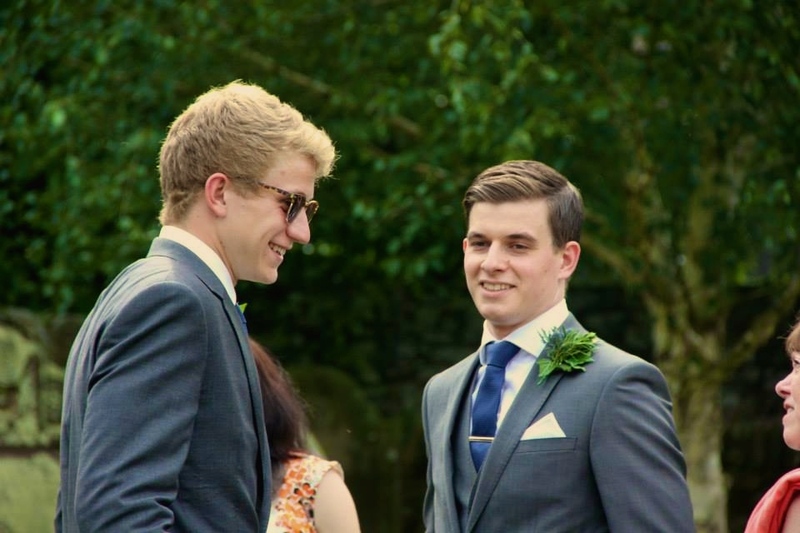 The classic grey suit has various inspirations including Sean Connery and Chris Hemsworth, the overall effect provided a clean-cut, fitted look over the whole body whilst small accessories (such as tie clips and pocket squares) helped add a dapper element. 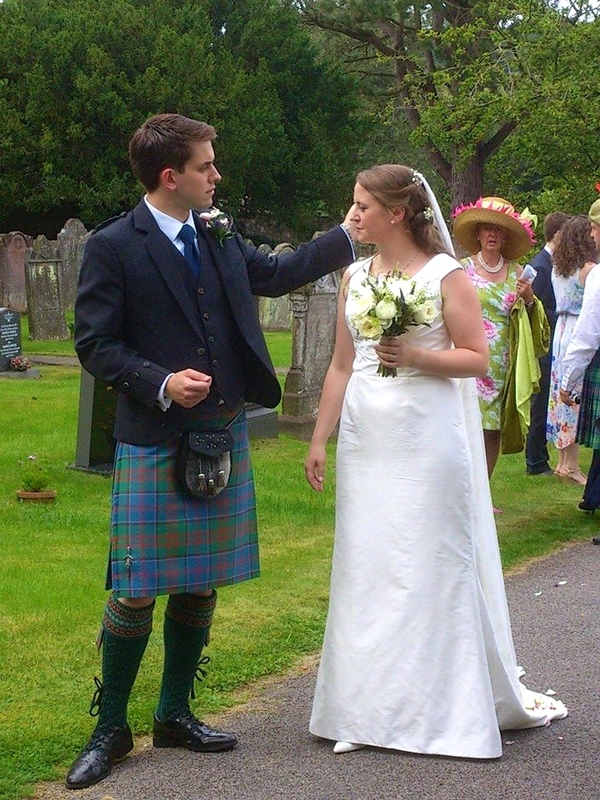 Orielle’s younger brother (Ranald) wore a full “Bonnie Prince Charlie” ensemble that carried a masculine, traditional style in its cut and fit. 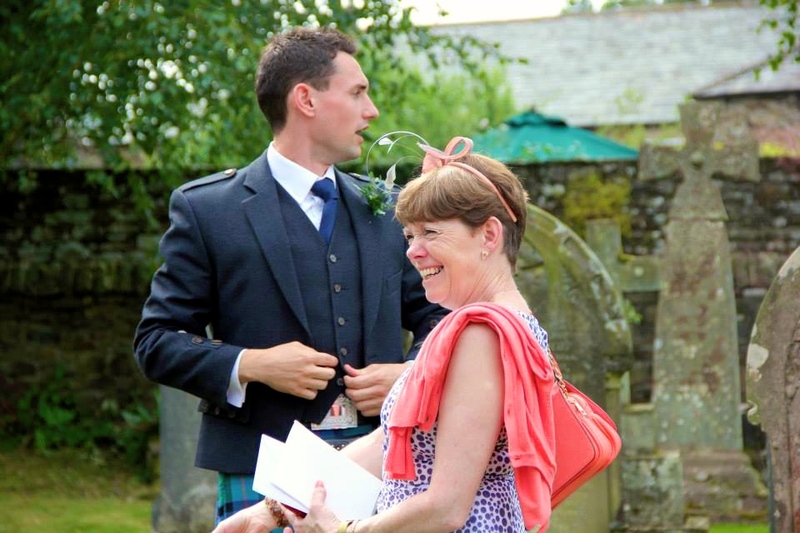 The use of a navy striped bow tie added a contemporary twist on this outfit and nicely contrasted the red tartan of his kilt.